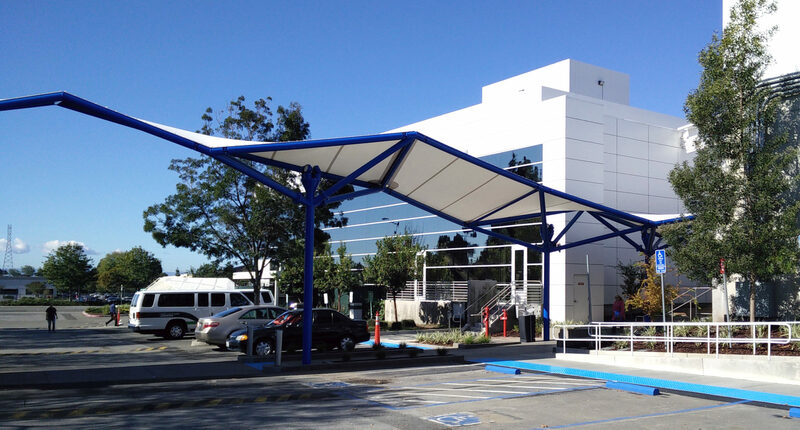 This project arose from a functional need to provide a sheltered walkway to transport material between two buildings of a technology campus. During the design, the team observed the importance of a connection that would provide both a utilitarian passageway and also an intersection of engagement. This design opportunity was further explored to create a new environment where the community could use the space to meet and make connections. New landscape features and tension structures were designed to give the buildings a unique identity while also striving to promote the evolving vision of the organization. 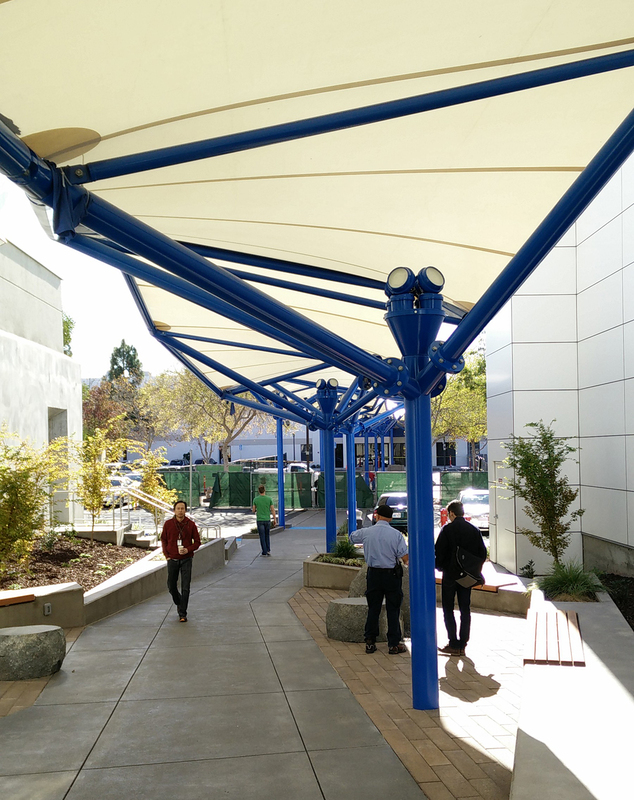 Lighting and pedestrian safety features were integrated to provide safe passage way during all conditions.